I have clients asking me about tablets on a regular basis now. They want to know which platform is going to win. They need something, but they're just not sure what. So, here's my attempt to compare the platforms. Since I only have experience with the Android tablets, I'm looking for community input on the Apple iPad and Blackberry Playbook. How are they working for you? I give my best evaluation of each platform and stamp each with VHS (it's going to survive) or Betamax (going the way of the dodo bird). As I said, I cannot speak to the iPad and Playbook except for what I hear from others, so be prepared for some hearsay. I use an Acer Iconia A500 - a Google Android tablet. It's somewhat larger than the Galaxy Tablet (the 7" one) and has a 10" screen. It's a little on the heavy side due to the long-life battery. The construction is solid, performance is very good, and it is expandable in a way that none of the others are (without docking stations anyway)... it has a full-size USB connector. This means you can plug a mouse, keyboard, thumb drive, or external hard drive directly in to the tablet if you wish. The Androids are showing up in lots of different configurations, some with keyboard docks, some with charging-only docks, the Transformer looks like a notebook and the "screen" opens and closes when docks. So far as I know, Apples and Playbooks are coming in limited configurations, with Microsoft devices being more flexible, although maybe not as much as the Androids. 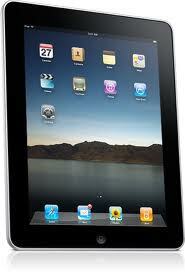 The iPad 2 and any of the Android devices with the dual-core processors should be nice and quick. I’m guessing the Windows tablets will use the same type of hardware platform as Android, providing good performance. Once again, I don't know much about the Playbook. In general, the Android tablets (and theoretically Microsoft as well) will have a shorter hardware lifecycles than the others and they will be delivered by multiple manufacturers. This means you’ll see more new and more recent hardware on the Android platform. Apple allows less customization (mostly backgrounds and icons) of the tablet than do the Androids (extreme... change almost anything). This means that there is more you can mess up on Androids also though. I prefer the extra options, personally. I cannot speak to customization on the Playbook really, there's not much good information out yet. Peanut gallery… any input? We also know little at this point about the Microsoft tablets, but I’m going to guess they come out somewhere between the Apple and Androids. Apple has more apps - at least for now. For the next year or two Apple is expected to stay fairly far ahead in the app war. Google and the new Microsoft tablets are expected to take a great deal of market share from Apple though, with the Google Market perhaps exceeding the Apple App Store sometime in 2014. Microsoft Windows 8 will be released in the next year or so and will potentially allow you to share apps between your desktop and tablet in a way you cannot with the other platforms. Plus, the Microsoft focus on the developer ecosystem should encourage rapid development. But... it's a long ways off and who knows what will happen between now and then. The Playbook has a small app store and they’re coming from far behind. 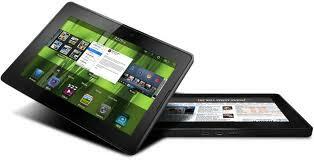 Tablets are a new form factor and the number of business applications for them are still somewhat limited. This will be a challenge for all of the platforms over the next couple years… to become relevant in the enterprise. The Playbook is an unknown at this point. Some people consider it a last flailing attempt by RIM to stay relevant with Blackberry phones rapidly losing out to Apple and Google devices. Apple and Android devices aren’t going anywhere anytime soon. I personally think the Playbook is DoA. Microsoft is very late to the game, but as a platform I think they're going to be around for a while. The tablet form factor for Microsoft is largely an unknown then. They're certainly betting a lot on making it succeed. Theoretically the Playbook should do well in this category due to RIM's experience managing mobile devices on their Blackberry platform. It is largely unknown how well this will work so far though. The iPad and Google tablets have limited security options so far, and neither has good built in enterprise management features for remote wiping as far as I know. There is some data encryption available, but it is limited. Mostly you'll need apps to add security to these devices. Expect better security when Windows 8 comes out eventually. Because Windows 8 will be a shared platform you should have Active Directory integration, Group Policies and remote mobile device management support. You’ll also have access to the existing Windows security app base. That should push the other vendors to beef up their security so as to not lose market share to Microsoft. Tablets are fun and can be a great addition (not replacement) to your mobile arsenal. They aren't expected to replace laptops or mobile phones either one, but to compliment them. In general, they excel at light to medium gaming (not quite as good as a Sony PSP or Nintendo DS) and heavier multimedia (audio and video playing), and light web browsing. Most of them will connect to an HDTV so you can display content in HD on the larger screen. How well they do each of these depends largely on the apps you have loaded, so it’s hard to do an Apples to Apples comparison (pun intended! ), but I'm just going to go out on a limb and say they'll all be roughly equal in the fun department. The problem is going to be for the Playbook in the apps and games categories. Their app store is starting way behind the other two. Windows tablets (when they arrive) should have a leg up if they can run PC platform games natively. There's a decent Windows app store, although it isn't as big as either of the two leaders - and they have no tablet apps in the store right now. I'm not sure how (or IF) the existing Windows Phone apps will transfer to the tablet either. Like I said at the top, my experience is limited to the Android mostly. My industry knowledge and hearsay let me make some projections about Microsoft, but I may be off on some of the Apple and Playbook stuff. Please correct me and feel free to elaborate on features and specs that I am unfamiliar with. In any case, this is a fun new technology field and we’re going to have a great time watching all the players compete for the top one or two spots! This morning I was reviewing my blog after posting the update about mobile computing yesterday and I realized... I haven't been posting about any topics aside from mobile and cloud computing for months now. I like these two subjects and I find that there is lots to talk about that is relevant not just to technical people but to end users and decision makers. So, I've decided that Consulting Notes is no longer an appropriate title for the blog. To reflect the content that dominates my articles I have changed the name to "Cloud Notes by Scott Cameron." I apologize for any confusion this may create for existing readers. The old content is still here for those that want it, I'm just not going to focus on delivering content for consultants and IT providers any more. Many of the topics I cover will be of interest to them I am sure, however. The focus of my content will for the most part be on mobile and cloud computing topics. I will try to use non-technical language as much as possible to make the content accessible to those not in the IT industry. That doesn't mean there won't be some good technical nuggets in there as well, though. I hope you find the topics I cover illuminating and am looking forward to a good discussion.